Description: Look at what the cat and mouse dragged in! 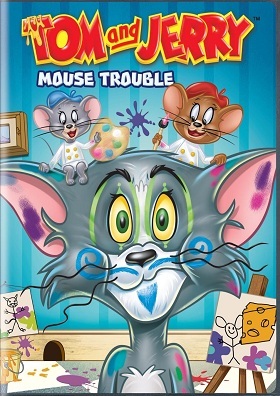 Its an all-new collection featuring 30 hilarious Tom & Jerry episodes for the whole family to enjoy. So get ready for a rowdy reunion when Jerrys Uncle Pecos comes to visit in Cry Uncle. Cat got your tongue? Maybe its Cat Got Your Luggage when Tom works as a bellhop in a fancy hotel but Jerry is a guest thats sure to overstay his welcome. Then in A Mouse in the House, Tom and fellow feline Butch are both on the hunt for Jerry and to the victor go the spoils. So sit back, relax and hide the frying pans and mousetraps, this one is going to be a laugh riot!